Fifteen years ago Antonia Klugmann left her studies of Law at the University of Milan, to go back to her native region in order to try to become a cook. 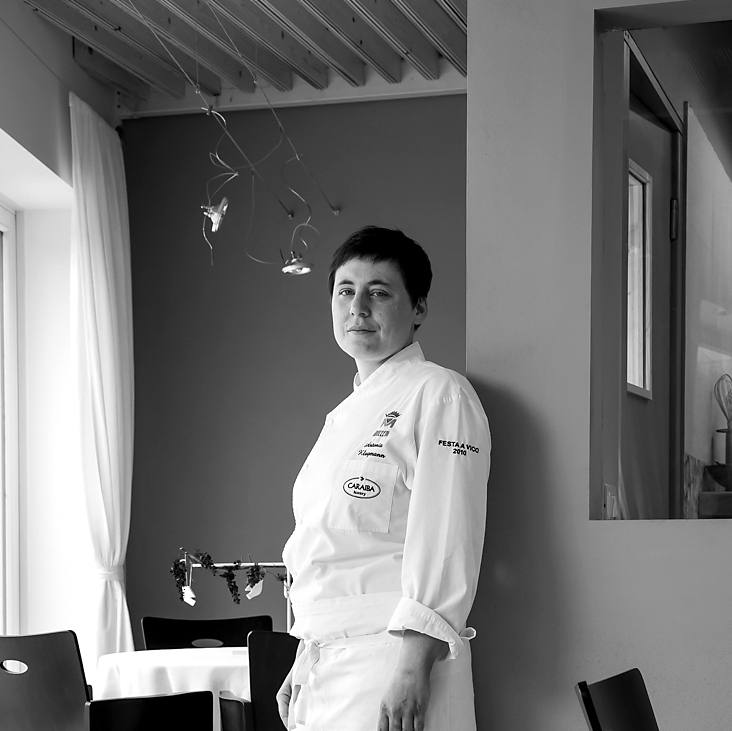 After five years of apprentice, she opened her first restaurant in 2006 close to Udine, in Friuli Venezia Giulia region. In 2010 she bought together with her husband a piece of land in Dolegna del Collio and they started building their dream restaurant. It took them four years. Meantime she worked for two years in Venice where she earn a Michelin star. Restaurant “L’argine a Vencò » opened its doors at the end of 2014. Located in the countryside, on the border with Slovenia, the building is a modern synergy between wood and glass, next to an old stone mill that dates back to the end of 1600. During its first year, the restaurant was awarded with one Michelin star (that it holds since), with the Premio Novità (best newcomer) by the Italian magazine « Gambero Rosso » and ranked 16/20 points by the Guida « Espresso ». She was nominated as « Chef of the year » at the Italian congress « Identità Golose » and she took part to Masterchef Italy as a guest judge. Antonia was awarded as “Best woman Chef 2017” by the « Espresso » Guide.